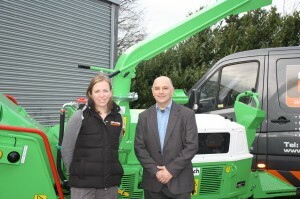 Orange Plant is to cover South West Scotland for GreenMech – the UK’s leading manufacturer of wood chippers and green waste shredders. Working out of their depot in Kirkintilloch, Glasgow, they will be covering Argyll and Bute, Renfrewshire, Dunbartonshire, Lanarkshire, Ayrshire, Glasgow City and the surrounding areas. Glasgow is one of seven depots Newcastle-upon-Tyne based Orange Plant currently has around the country, and the most northerly – the most southerly being Burgess Hill. They are firmly established in the hire, sale, service and parts for Wood Chippers and Stump Grinders with their hire fleet alone for wood chippers in excess of 110 units – believed to be the largest in the UK.